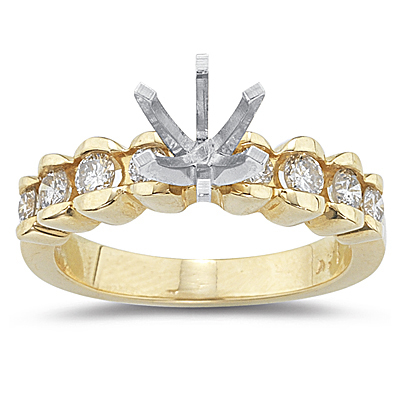 0.43 Cts Diamond Ring Setting in 14K Two Tone Gold . This alluring Diamond Ring Setting showcases eight sparkling Diamonds channel set in 14K White and Yellow Gold. Approximate Diamond Weight: 0.43 Carats. Add more glamour to this beautiful ring setting with a center stone of your choice. The center stone is sold separately.